There is a lot more going on with your hair than meets the eye. There are approximately 100,000 hairs on the average scalp. Each of these hairs has its own life cycle and grows at a rate of about half of an inch (1.27 cm) per month. It actively grows for approximately 2 to 6 years, then begins to detach from its blood supply. The hair is then released and the follicle takes a much needed vacation before the next growth cycle starts up again. By understanding the basic components of hair and how it grows, you will have a better sense of how to care for your gorgeous tresses! 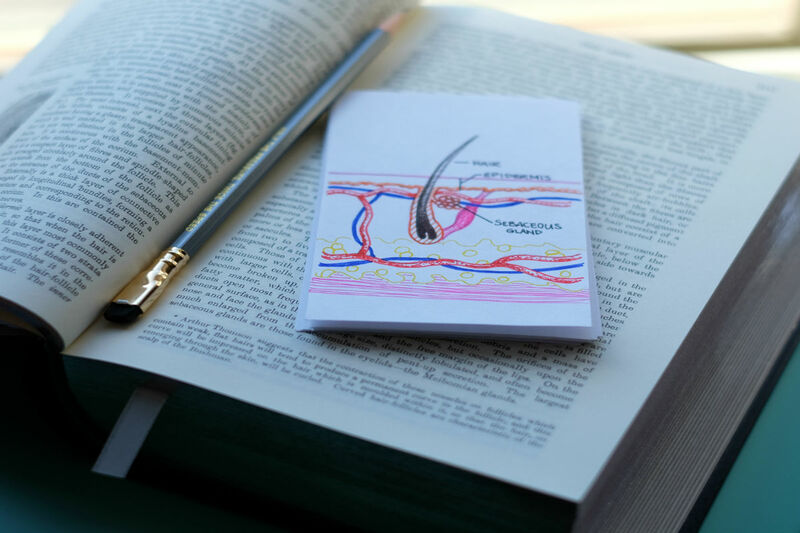 The hair follicle is a narrow, tubular cavity that extends from the surface of the skin into the dermis and basically anchors the root of a hair. 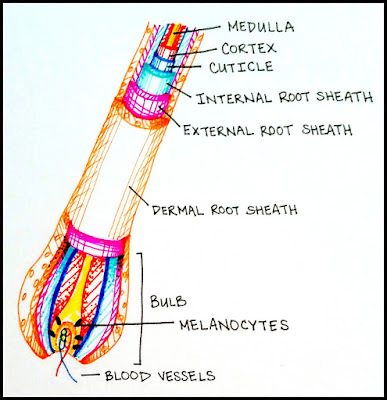 When viewed in cross-section, the hair root is organized in concentric layers with the dermal root sheath surrounding the outside of the follicle, followed by the external root sheath and the internal root sheath. These structures protect and form the growing hair shaft. The follicle is nourished at its base by small blood vessels called capillaries. Although hair itself is essentially dead, cellular activity occurs around the base of the follicle at the bulb. These cells divide rapidly, about every 23-72 hours, to accommodate hair growth. 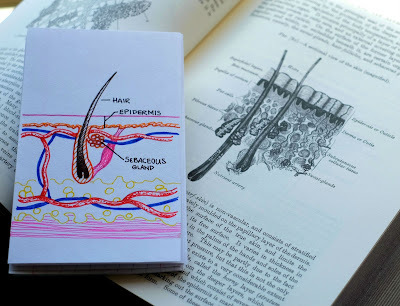 The hair shaft is made of a hard protein called keratin and consists of three layers: the cuticle, cortex, and medulla. The cuticle is a hard, shingle-like layer of overlapping cells and acts as a protective barrier for the cortex and medulla. The cortex makes up the majority of the hair shaft and contains most of hair's pigment. Hair on the scalp grows at a rate of approximately 6 inches (15.24 cm) per year. Unlike other mammals, humans do not shed seasonally. Rather, at any given time an unknown number of hairs will be in one of three stages. Anagen is the hair's active phase of growth. During this time, rapid cell division at the hair bulb adds length to the hair shaft. As new hair is formed, hairs that have stopped growing are pushed up the follicle and ultimately fall out. Scalp hair stays in this active phase for approximately two to six years. If you have always wondered why you can't get your hair to grow past a certain length, it may be because you have a short growth phase. Childbirth, stress, or other traumas can also temporarily shorten the anagen phase. If you can grow your hair out like a champion, you likely have a long active phase of growth. Thankfully, the hairs on our arms, legs, eyelashes, and eyebrows are kept short due to an abbreviated anagen phase of about 30-45 days. At any given time, about 3% of all hairs are in the catagen phase. During this transitional phase, growth stops and the hair detaches from its blood supply as the outer root sheath shrinks and attaches to the root of the hair. This process leads to the formation of what is referred to as a club hair. The catagen phase of scalp hair usually lasts 2-3 weeks. 6% to 8% of all hairs are in telogen, the hair follicle's resting phase. During this phase, the club hair is shed and the follicle then remains dormant. This phase lasts for approximately 3 months and accounts for the 25-100 hairs that we loose on a daily basis. Hair color is determined by follicular cells called melanocytes that contain the pigment melanin. During anagen, these cells inject melanin into cells that contain keratin, providing hair with its hue. As we age, however, melanin production decreases and our hair eventually looses its color. Now that you know the basics of hair, keep an eye out for additional posts about hair care! 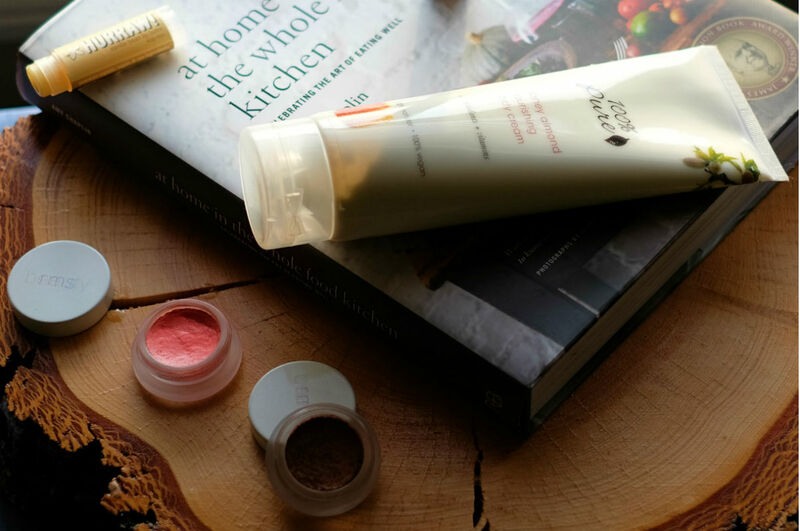 Also, check out my previous post about sebum and how it relates to hair!